The corporate rock of the 1980s provided a focus for the hatred of critics and post-punk musicians, but it also sold millions of records and produced its share of undeniable rock 'n' roll moments. 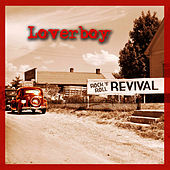 While Loverboy were hardly one of the decade's great bands, they did display some smarts and a knack for entertaining-enough hooks along the way to their three platinum albums. Formed by veteran guitarist Paul Dean (who'd briefly worked with Streetheart) and singer Mike Reno, Loverboy were one of Canada's premier rock acts of the era. Their self-titled 1980 debut -- complete with a trendy-looking cover that prompted some to mislabel the band New Wavers Â was a quick success, launching the single "Turn Me Loose" into Billboard's Top 40. (Fredric Dannen's music-biz expose Hit Men gives an inside look at the machinations of breaking the record.) A follow-up, "The Kid is Hot Tonite," was another big favorite at album-rock radio, and was perhaps the first of the group's "guilty pleasure" cuts for listeners who normally shunned such fare. "Don't ask me how, but guess who hit the big time?" was the key lyric of "Lucky Ones," from the band's second album, Get Lucky. This kind of self-effacement was rarely heard in commercial pop and rock by this point, and its charm was hard to deny. 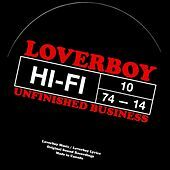 Get Lucky also contained a true anthem for Loverboy's regular-guy (and girl!) listeners: "Working for the Weekend" still gets its share of airplay more than 20 years later, and it still rings true. By 1983, MTV was nearly as big a force in selling records as was radio, and Loverboy were one of the channel's favorites; that summer even saw the band cast an MTV contest winner in an ever-so-brief role in the clip for "Queen of the Broken Hearts." They were at the peak of their career, and though there were a few more hits in their future, Loverboy couldn't have gotten much bigger.